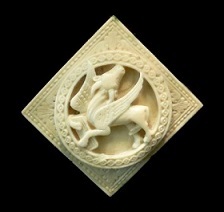 "Shidu Lamassu" ... 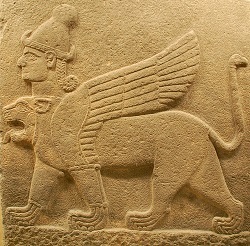 This is how the name appears in Assyrian records, the origin of the word "Lamassu" is from the Sumerian (Lammu), the name was used for a female jinn whose duty was to protect cities, palaces and houses of worship, but the male jinn protector was known in Sumerian as (Alad-Lammu ) while in the ancient Assyrian (Akkadian) language it was known as “Shidu” <1> – <2> and the words “shida” or shidda” are still used in modern Assyrian language also meaning ”jinn”, the word “shidana” is derived from ancient Assyrian beliefs meaning “those touched by jinn” and of this term, the Arabic word “majnoun” was derived also in reference to the word “jinn”. 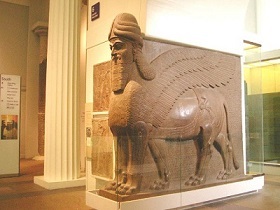 Many people fall into emotional errors which at face value seem naïve and told by simple people, but they stem from previous political or religious ideologies aiming at distorting history by saying that the ancient Assyrians worshipped "the winged bull", however, Assyrian records simply refute that. 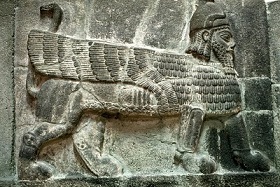 According to the Assyrian Archaeology Professor John Russell, the winged bull was mentioned in the records of the Assyrian King Sennacherib as follows: "I brought prisoners of war from the cities which I invaded, they built me a palace and at its gates stood two of the Alad-Lammu” ... <3> Thus, the accusation of “worshipping the winged bull" is void because it is not possible for a god to stand guard at the gate of his slave’s palace. 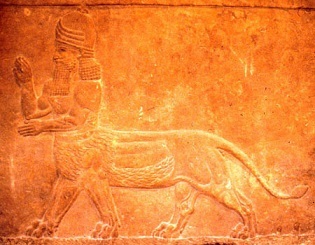 Many also believe that Lamassu is Nebuchadnezzar (605 - 562 B.C.) 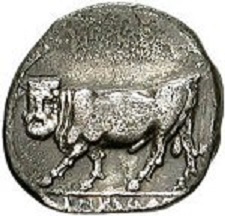 <4> Whom God according to – the Torah superstition - had turned to a bull with eagle’s claws (Daniel 4: 31-34) and they ascribe the winged bull to Nebuchadnezzar, even though the Lamassu is far more ancient than Nebuchadnezzar’s grandparents. 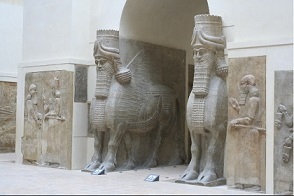 Lamassu is a form of mythical creature with mixed composition, it is more often a winged bull with a man’s head and a lion's paws (photo No.1), or with a man’s head and a bull’s feet (photo No.2) – Lamassu took several forms during the different periods of history, even in Assyria (Ashur), it took at times the form of a non-winged lion with a human’s hands dedicated for protection during a bath (the ancient Assyrian beliefs say that sprinkling or stirring hot water attracts the "Pazzuzu" <5> (photo No.3) or the evil spirit), and women to this day spontaneously continue to use the word “kish” to expel evil spirits whenever they sprinkle or stir hot water, this winged lion is called in Assyrian "Ormalolo”, a plate with an Ormalolo was found in the bathing area of King Ashur Bani - Apli (Banipal) dating back to 640 B.C. 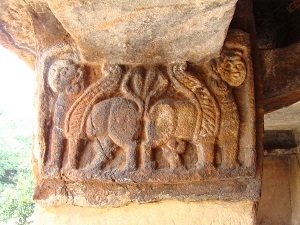 (photo No.4). 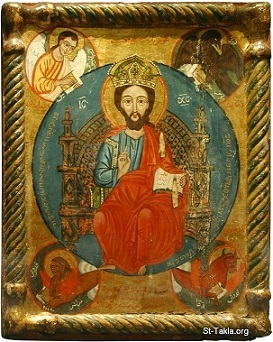 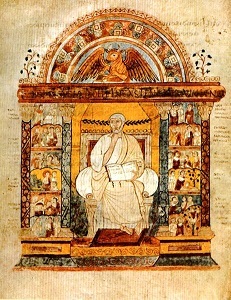 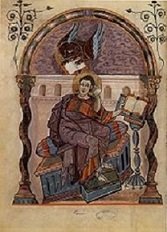 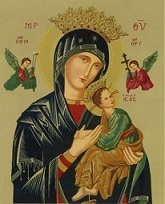 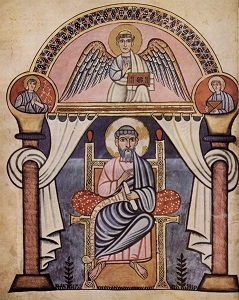 It is well known that Tatian the Assyrian was the first to collect the four Gospels (130-180 A.D.) in his book The Diatessaron <9> Therefore, it was normal to have the Assyrian influence on the four Evangelical Gospels, because the Gospel is attributed with perfection (wisdom, courage, power and glory), and that is what Tatian wanted for the proclamation of the Gospel of Jesus Christ. 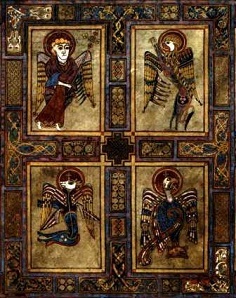 Thus, once again the sublime Assyrian philosophy is noted not only as a prophetic message (the Saviour's Resurrection three days after his death in Akito, and the Assyrian Holy Trinity prior to Christianity) <10> but time and again as the basis for the expression of the elements of subsequent religions, in particular Christianity whereby the majority of its followers refuse for emotional reasons to join it to its Assyrian predecessor and that is due to their “fear” more than their “faith” in God. 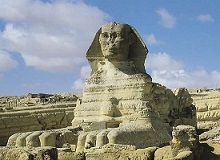 4-The king of a “kaldu” tribe, who entered Iraq in the last millennium B.C and controlled Babylon in 626 B.C, where it ruled for 87 years, according to the “International Standard Encyclopedia, these tribes came from “Delomn”, today’s Bahrain. 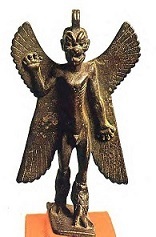 5-“Pazzuzu” is an evil spirit of the hot desert winds who looks for water, it has a demon head, eagle wings, lion paws and scorpion tail. 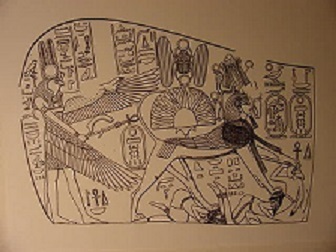 Scorpions symbolized the “sons of Tiamat” that was killed by the God Ashur in the Assyrian Genesis, from which the Torah’s Genesis was taken. 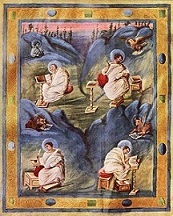 6-He was a Roman judge, member of the Areopagite juridical council, to whom St. Paul explained his Christian faith, then Dionysius believed in St. Paul’s preaching and converted to Christianity, and later he became one of the Church philosophers.